We love the understated cool of this sleek white single toggle light switch . The switch plate is the epitome of chic minimalism – plain white – and its subtle satin sheen finish is the perfect backdrop to the metal toggle; choose from black, gold, white or silver. A great switch for a matt white wall and you’ll never tire of switching this bad boy on and off. 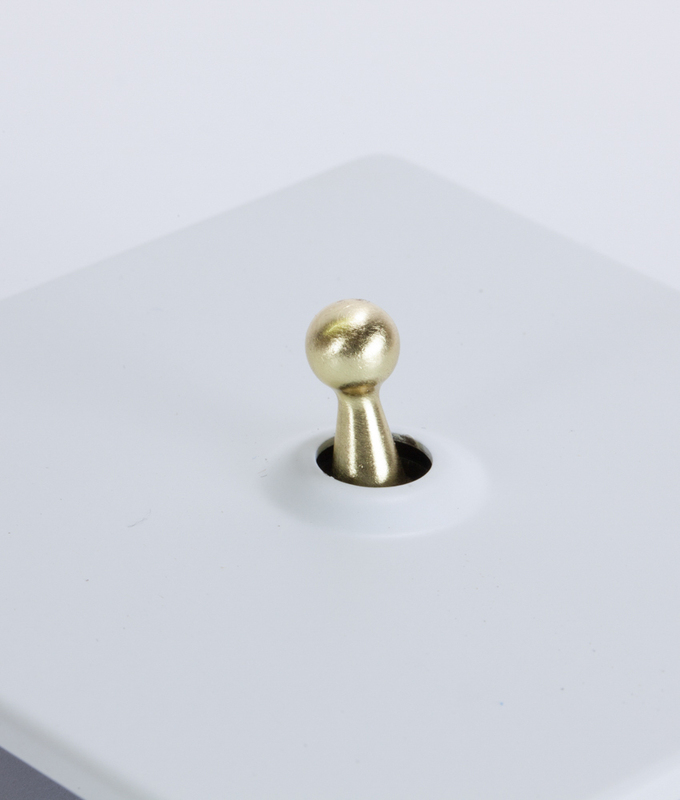 If you want the coolest toggle switches around… Our white single toggle light switch is just the thing for you. Elegant and understated this light switch is a highly sophisticated way to turn your lights on and off – but it’s still very much retro industrial in style. Not too neat! 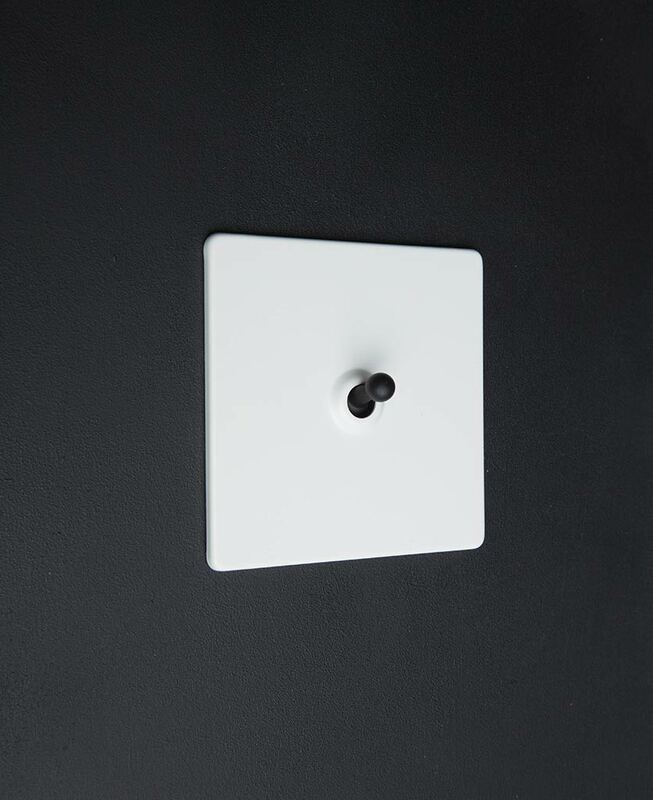 Our white 1 gang toggle light switch is the finishing touch that stamps your individual style on a room. This switch is a great place to start if you want to introduce an element of vintage industrial design to your interior but don’t want the full on industrial experience… Just yet. Once you’ve installed our toggle switches you’ll wonder why you never did it before, and we’re pretty sure you’ll never go back to standard light switches again. In fact, we really hope you’ll be back for more. We searched high and low for good quality yet affordable designer light switches before creating our very own exclusive range. We were looking for the perfect accessories to go in our industrial style interiors; switches and sockets that are a little edgier and stylish than you’d find on the high street. These toggle switches are just great to go with our gorgeous vintage light bulbs suspended with fabric cable. If you’ve fallen in love with this single toggle switch, check out the matching double toggle switch and our other co-ordinating sockets and dimmers.